I attended the Charlotte, NC, Partner Readiness Tour today for CRM v3. There are still a few cities that they are traveling to. Definitely worth it! Thanks Dana and Chris! You can check out the tour details at http://www.msreadiness.com/IL_abstract.asp?eid=5007433. We got to see even more about the possibilities with CRM 3 and integrating it with Outlook, SharePoint, Excel, Word, and external apps. Very exciting stuff. Microsoft seems to have gotten it right this time. There are still a few things that are missing from the product, but most of them can be easily overcome with quick SDK customizations or third-party add-ons for CRM. (These would include spell-checking, duplicate detection, automatic account numbers, and a few other items.) However, the new product is packed with very powerful features, and will be available in a Small Business Edition and a Professional edition, simplifying the massively over-complicated SKU scheme of the current release. 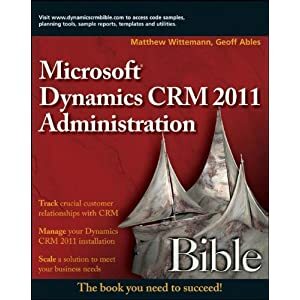 There will also be hosted versions for partners to provide to customers, and also unconfirmed reports that there will be a 120-day eval license for 75 users, which will make selling CRM much easier, especially since it installs with just 10 clicks (really!). More to come soon...I will be starting my own test deployment shortly and will report on it here. So come back! I really like your blog - it's been a great help to me so far. Just saw the mention of spell checking. I just want people to visit my blog really! There's also an internet explorer add-in called iespell that allows you to right-click in any browser text area and call a spell check script. c360 had an article on their website about how to implement this in CRM.